EDMONTON — George Hopkins knows what his full-time friend and part-time rival is going through this week. “It’s nice, I’m not going to in any way downplay it and say that it’s not,” said Hopkins, now in his 47th season as the Calgary Stampeders’ equipment manager, after he and his staff moved into the host Edmonton Eskimos’ locker room on Friday. 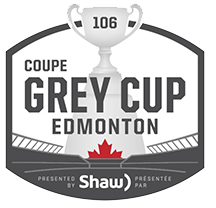 The feeling that emanates on social media from Esks fans this week that’s equal parts disappointment that their team isn’t playing in Sunday’s 106th Grey Cup presented by Shaw and disgust that it’s their arch-rival Stampeders setting up shop in their locker room. The Stamps started to get settled on Friday when coach Dave Dickenson opted to have his team practice at Commonwealth Stadium. That meant Hopkins was able to cross the provincial floor, so to speak, and make the Esks’ room his squad’s home. “Dwayne (Mandrusiak, the Esks’ longtime equipment manager) and his staff have been exceptional to us as I knew they would be and we’re doing a really good job of taking care of the room and treating it with the honour that it (commands),” Hopkins said, with a smile creeping up on his chilly face. Hopkins stresses that the team is honouring the room and that it would do so throughout the weekend. It was a long time ago now, but he remembers when the shoe was on the other foot. “’’75 is actually when I met Dwayne when we were kids,” Hopkins said, recalling when the Esks came into McMahon and defeated Montreal. Hopkins was just 14 then, helping the Stamps out. Mandrusiak wasn’t much older. It might seem strange that two long-standing members of arguably the fiercest rivalry in the CFL are actually friends. It helps that both Hopkins and Mandrusiak are cut from the same cloth; even if the cloth changes colours in the middle. “I bleed red and white,” Hopkins said. “I don’t expect anyone on any other team not to, right? Now in his 22nd year in the CFL, Dickenson said he’d never seen the Esks’ locker room until Friday. He joked that his team would out of habit run to the wrong sideline when they take the field on Sunday. Stamps defensive back Jamar Wall said he’d always been curious about what the room would look like. It’ll feel more like home, he said, after Saturday’s practice. ← Previous Story Football is bigger than you!